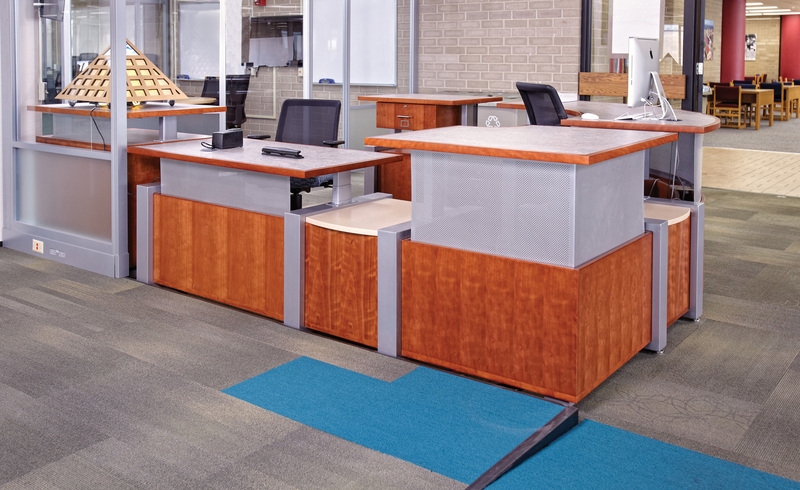 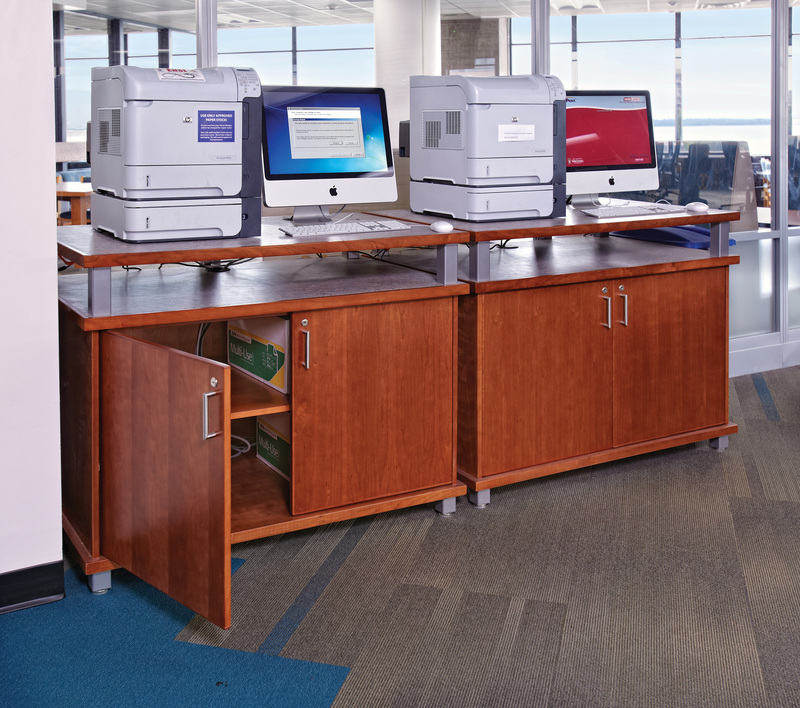 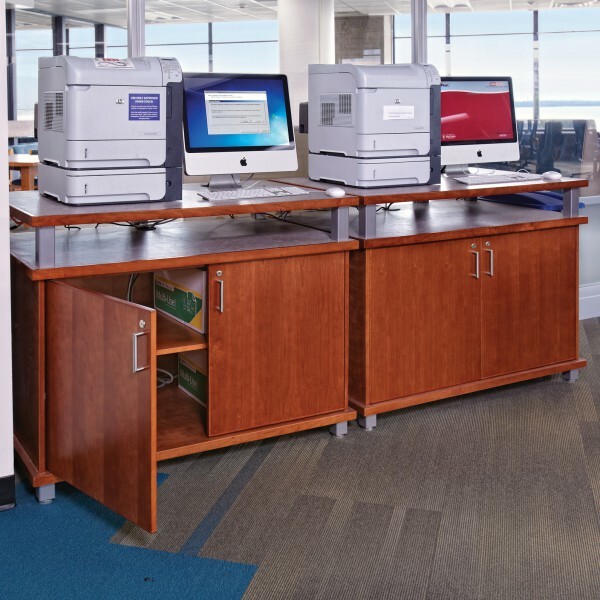 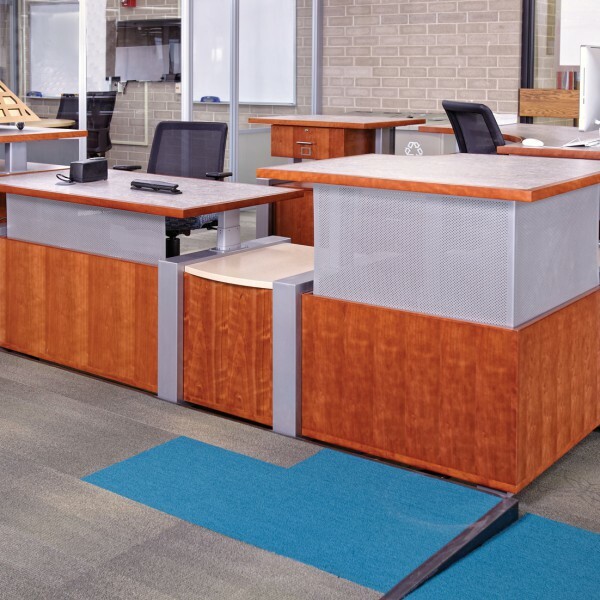 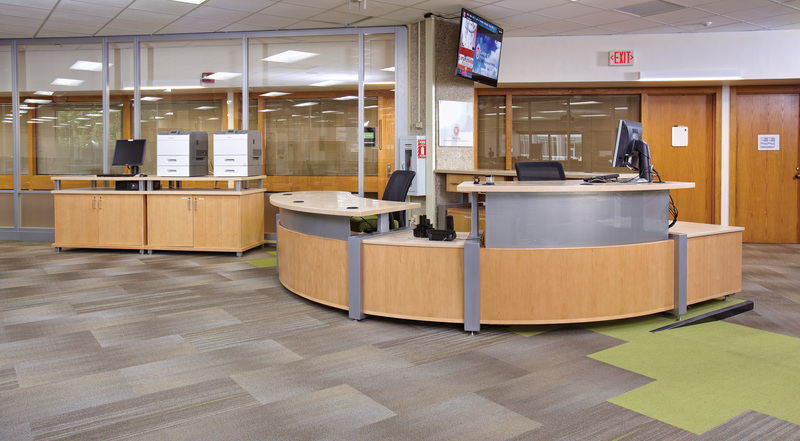 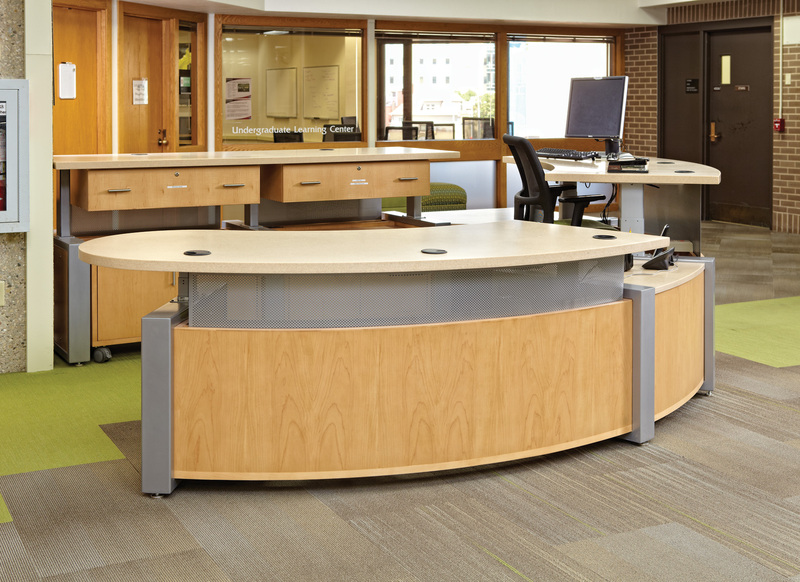 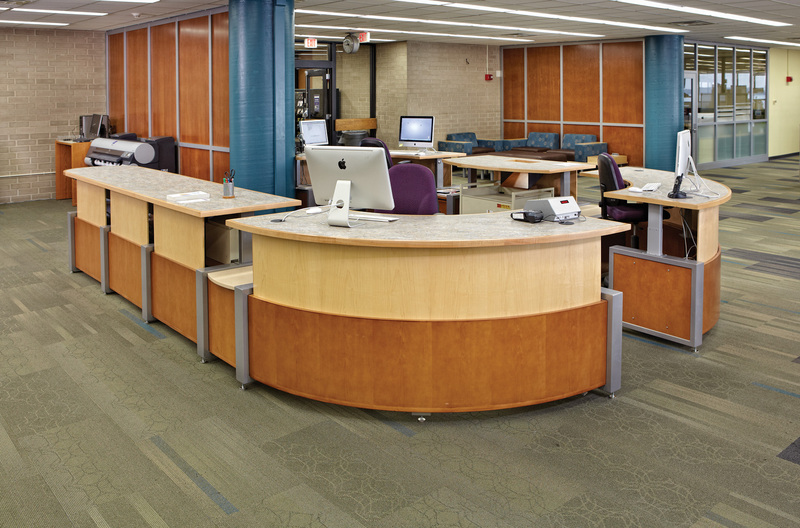 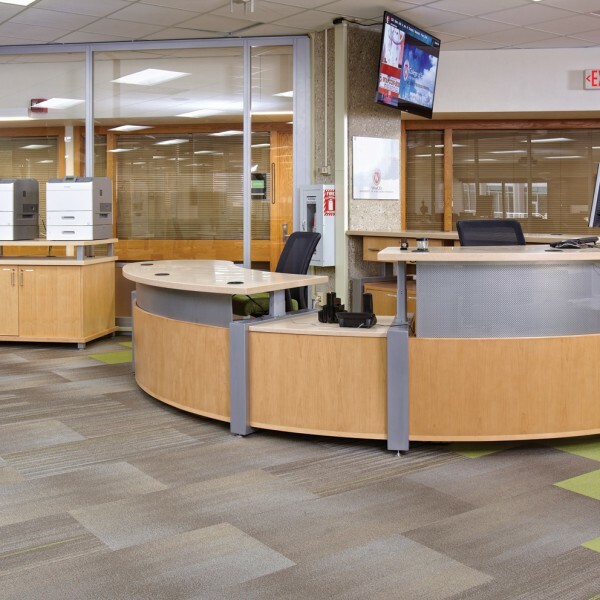 When replacing staff desks, UW-Madison library staff wanted to create a welcoming, professional environment with a system that was comfortable for users of various heights and ergonomic requirements. 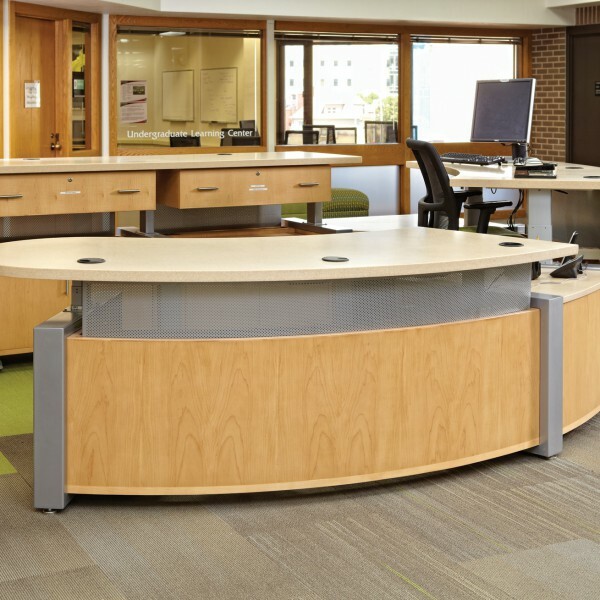 Demco’s customizable TechnoLink® desks did just that! 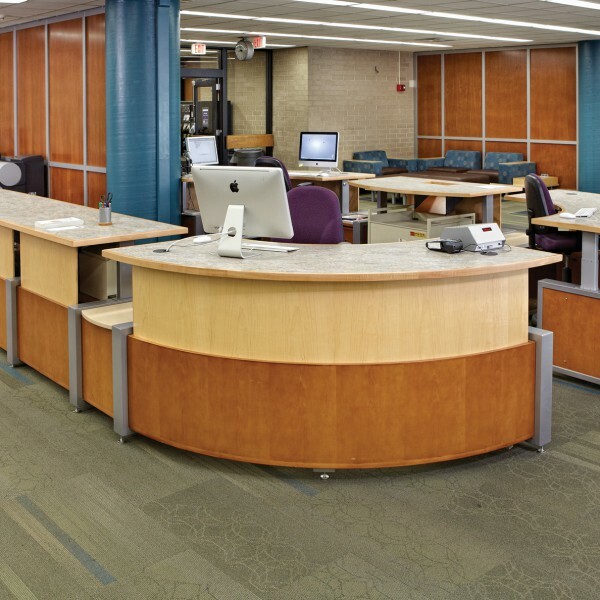 Coordinated reference desks, computer look-up stations and work tables incorporate height adjustability, mobility, ADA-compliant access and various other standard and custom components that yield the ideal desk system for the college library.